As with all living things, including humans, stress is natural. Your fish is no exception to this. However, when you’re stressed, you have the power to address the situation and make yourself feel better. Your fish, on the other hand, needs you to help them feel better. They wouldn’t be able to do as much on their own. Stress is detrimental to your fish. You’d want to protect them from any stressor as otherwise, the situation can also turn out stressful for you. Stress weakens the immune system of your fish, which in turn, makes them more susceptible to sickness. And when left unresolved, stress can also be fatal for them. Let’s talk about factors that result to fish stress and how you can reduce them. 1. Overpopulation. 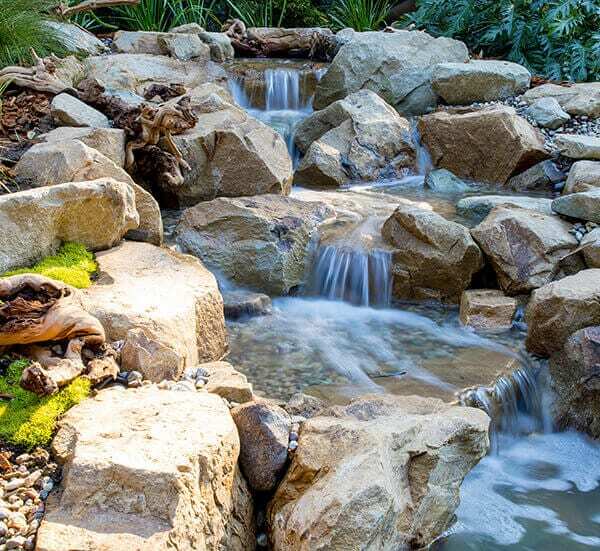 Overcrowding your pond can result to various stressors such as poor oxygen levels. Keep just the right amount of fish your pond can accommodate. Also, make sure to let a new fish adjust first to the change in the environment before transferring it in. You can as well quarantine a fish for at least two weeks to make sure it’s in good shape before moving it to the pond. 2. Predators. Normally, your fish would prefer to stay at the bottom of the pond where they cannot be readily seen. But if your fish suddenly disappears, then pond predators, such as herons, are a likely culprit. You can protect your fish from predators by making sure they have a safe hiding place such as rocks and plants. If you’re aware of the type of predators visiting your pond, then you can as well use dummy predators. This is to help fend off the real predators. 3. Sudden changes in water temperature. Goldfish and koi are generally good at adjusting to varying temperatures. However, sudden changes in water temperature can be stressful for them. This is why it’s important to introduce a new fish first to the pond. During the cold season, your fish will hibernate and stay at the bottom of the pond. It helps then that a pond has adequate depth as shallow ponds tend to change temperature more quickly. 4. Poor water quality. Even low concentrations of nitrite and ammonia can be stressful for your fish. Ammonia can damage their gills and tissues, and consequently interfere with their ability to absorb oxygen. Ammonia and nitrite need to be converted to a less toxic form that is nitrate. Filtration is necessary during this process. Immediate changing of water also helps. 5. Depleting oxygen levels. Your fish needs oxygen to survive. Low oxygen levels can be caused by overcrowding or insufficient aeration. To boost oxygen levels, make sure that your aerator is properly working and is of the right size for your pond needs. Take note of these factors causing stress to your fish so you can reduce or avoid them early on. If you need assistance cleaning out your pond, more tips on how to keep your fish happy, or transferring your fish safely to a temporary home, you can get in touch with us at 888 600 7224.